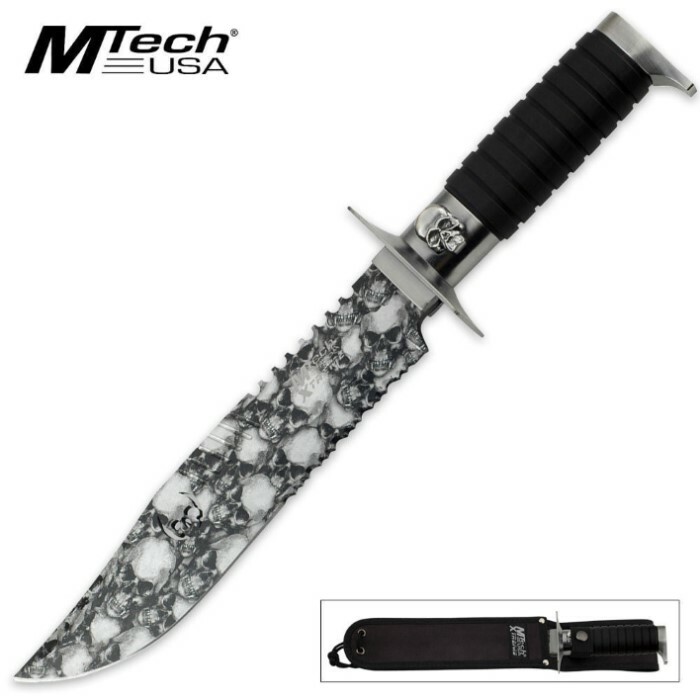 MTech Xtreme 14-Inch Fixed Blade Serrated Skull Knife | BUDK.com - Knives & Swords At The Lowest Prices! This modified drop point MTech Xtreme fixed-blade knife is running over with tons of spooky skull styling. The 440C stainless steel blade features powerful saw tooth serrations on both sides of the blade. The camo skull pattern is unique and covers the entire blade. The rubberized handle provides a secure grip with an oversized pommel and guard, plus another accenting skull. Includes nylon sheath.